Are conditions approaching for a rapid economic shift? Andrew Simms and I had a lot of fun talking at the Hay Festival on 1st June. I admit many of the ideas put forward were those in the Joy of Tax, but the issue Andrew wanted to explore was whether or not we might be facing a situation where rapid change was possible in the economy at this point in time. The idea we developed was that there are historical precedents for thinking this is possible. The suggestion, which grew out of discussion between us, is that it takes three things for rapid change to happen. The first is recovery from a crisis, although it rarely seems that this is immediate. Some time lag is seemingly inevitable before the change happens, even if those lags may have reduced a bit over time. Second, there needs to be a technology that demands change. And third there needs to be a major innovation in applied economic thinking to usher in a new era. We explored some ideas around these themes. The first was really the railway boom from 1825. I actually discussed this as the canal boom last night, but overnight have become convinced that was relatively minor, and that the railway boom from the 1820s to 1850s is the best example. The crisis was the Napoleonic wars. The recovery started about a decade later after a period of some social unrest. 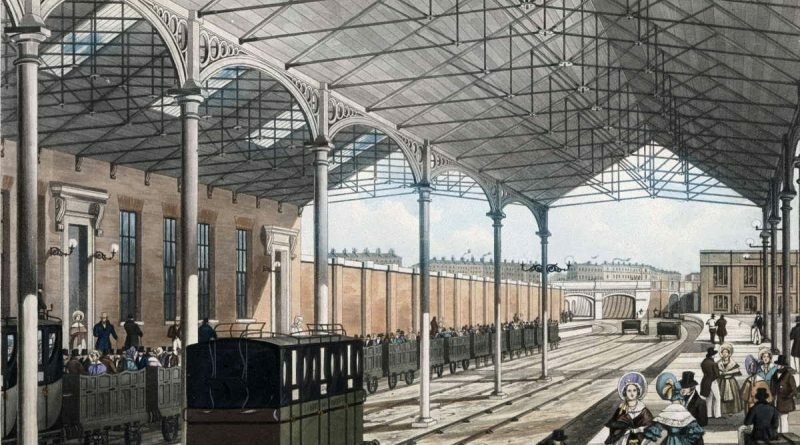 The practical economic change was the widespread acceptance of investing via what were then called joint stock companies and the technology was, of course, the railway itself. The next example we used was the post war era, but there had again been a hint of what was to come (comparing this process to that of the canals as the precursor for the railways). The crisis was 1929, and more importantly the failure of hope after WW1. The economic change was the rise of Keynesian interventionist logic. The technology was the availability of mass produced products, but in particular motor transport. The false start was the New Deal in the USA. The real thing was the post war consensus. Then came the Thatcher revolution. The crisis was the end of the gold standard and the OPEC oil induced crisis of 1973. The technology was computerisation. The economic innovation, the Washington Consensus of neoliberalism that permitted rapid globalisation. And there have been failures at the end of each era too, of course. These have happened when finance, which has always worked as the servant of technology in the initial period of change then over expands in the pursuit of gains. So in 1860, or thereabouts (I am working from memory) the UK suffered a crisis because of the collapse of Gurney’s Bank which had over-extended itself on railway financing when many of the lines being built were already of a secondary nature. It took a long time for the economy to recover. The boom had lasted maybe thirty years. In the post-war era monetary regulation had failed by the 1970/, and with it fixed exchange rates. A secondary banking crisis developed, and so did mass inflation as control of money seemed to move beyond the grasp of governments. Economic crisis followed. The boom was slightly less than thirty years. And neoliberalism, once it really got a grip did then fail in 2008′ after a little over 30 years. In each case it is important to note there was no bounce to the next era: the transitions were awkward, painful, slow (especially in the nineteenth century) and by no means inevitable. That is because the process of change was actually technology and not finance led and technology takes time to develop, but so too do economic ideas, even when they have been many years in the making, as neoliberalism had been. And recoveries also took time to get established but once they did were very obvious, and sustained. So what is the relevance to now? First, we have had a crisis. And a sustained hangover from it where we have wandered without obvious economic direction. Second, there is new technology. It is green, it is sustainable, it is radically different and it is at least in part robotic. It is demanding massive innovative change now, and it will happen. Third, our understanding of economics is changing. We now, for the first time, really understand money. We can therefore newly understand public finances and the integration of monetary and fiscal policy that I outline in my book, using QE, at least in part. And by integrating that understanding with a willingness to let the state produce, costlessly, the capital to put the economy (public and private: this is not a state only revolution by a very long way, but a state partnered one) to work the process of change can begin. And once that new partnering of green robotic technological change with state and private sector financial cooperation to release capital (which release is always characteristic of these processes) begins then change could be quite rapid. That was the idea we developed. I think it entirely plausible.